cause we'll be the old school artists"
You know what you need to learn? It's a personal eye opener for me to look back and reflect that this has been an issue in hip-hop for 25 years or more, and though I try to be nice about it I can't help but raise an eyebrow when somebody calls Wu-Tang Clan or Souls of Mischief "old school." As a young rap head I tried to interpret the phrase in a respectful way - "old" being "elder" being "knowledgeable" - because after all Knowledge Reigns Supreme. Therefore I went out of my way to acquire and listen to the so-called "old school" artists like Kurtis Blow, Whodini and Melle Mel. Even though the term wasn't always used in a kind way, "old school" to me was something to be celebrated - the "modern" hip-hop of the 1980's and early 1990's wouldn't have existed without it. The various websites and e-zines I've started over the years have always had a two-fold goal - take a look at what's current and new while keeping a foot firmly entrenched in hip-hop's roots. 25 years ago this made perfect sense, because the "now" rappers of the day were still talking about their peers in songs, many of whom were not that much older than them. 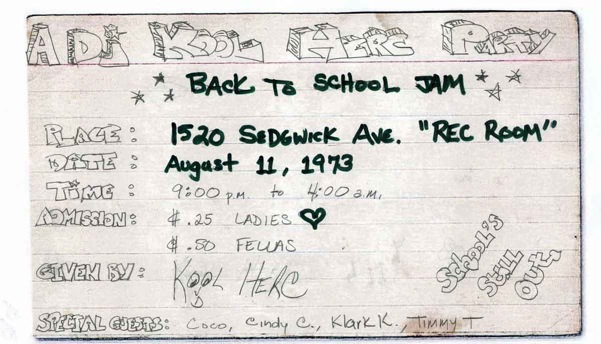 These days though it seems those same rappers are the only ones talking about the generation that gave birth to hip-hop. Even though Kool Herc, Afrika Bambaataa, Grandmaster Flash and many more of the pioneers are still here and have wisdom and knowledge to impart, I get the feeling many of today's rappers aren't interested in taking advantage of that resource. It goes deeper than the music though. When we say "hip-hop" we often refer just to the rap music that's the most commercialized and marketed part of the culture. What Crazy Legs has to say about breaking to today's generation of kids doing the latest dance craze is just as important. What Phase 2 and Zephyr can say to today's generation of aersol artists is equally valuable. My concern in today's editorial is that hip-hop music and culture, which has always been obsessed with the "now" - the latest gear, the latest sound, the latest style - has become increasingly myopic and insular. We need a reminder that these pioneers are still here, their contributions to what we have today should not be overlooked, and that we have yet to reach the "50 years" KRS-One once referred too. Hip-Hop has grown and become a global cultural force but is still too young for ignorance about its roots to be acceptable.